Well that was something, huh? 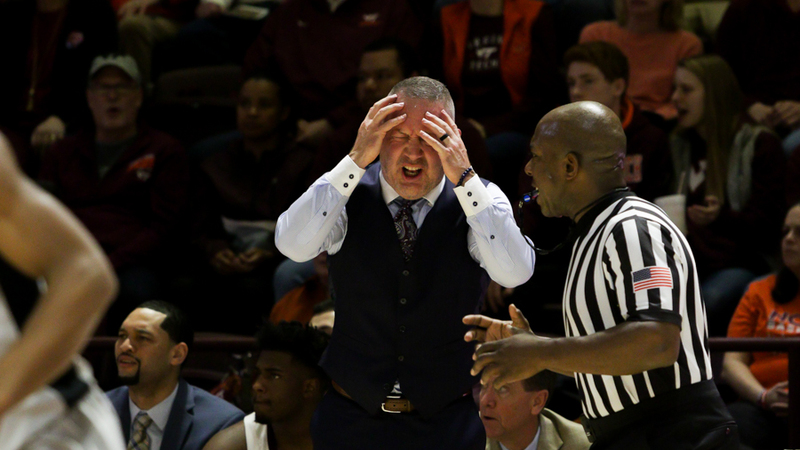 After beginning the game on absolute fire from the field, the Hokies looked completely overpowered for the final 34 minutes against a traditionally long and rangy North Carolina team. The Hokies were seemingly unimpressed by the mystique of the Dean Dome, coming out of the gates with a boatload of energy that knocked Roy Williams' club and their fans on their heels. Tech looked like a group of hamsters hopped up on the booger sugar, hitting 6 of their first 7 threes to take a quick 22-13 lead. There was fluidity to Virginia Tech's game early on, seamlessly adjusting to whatever UNC threw at them. The Hokies initially found success on the drive-and-kick game. When UNC took that away, Tech got out running off defensive rebounds and made plays on the break. Then the Hokies just started pulling up when they had a split second opening and almost effortlessly hit another jumper.